Use this page for requesting quotation / ordering Multi-platform DPM Plugin for Honeywell’s N5600 series OEM miniature imaging engines. 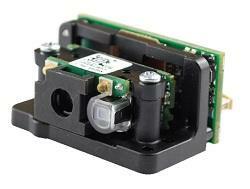 Honeywell’s N5600 series OEM miniature imaging engines are built with advanced Adaptus® 6.0 Imaging Technology. These OEM scanners feature a custom image sensor specifically designed for barcode and optical character recognition (OCR) font reading, the industry’s first color imaging option and a new decoding software architecture for reading hard-to-read barcodes. Engineered to meet the demanding needs of OEM integrators and their end users, N5600 scan engines deliver superior data capture performance for a variety of applications. DPM Plugin is a software program based on Data Matrix decoding library, developed by 2DTG specifically for DPM, including Dot Peen, applications. DPM Plugin extends the capabilities of the industry-leading imaging platform - Adaptus 6.0 - into DPM area. The product has been certified by the Honeywell Scanning & Mobility for the use on this platform. 2DTG is the Honeywell Total FreedomTM Certified Developer.